One of my favourite things about Christmas dinner is the cranberry sauce. I know that might sound a little strange when there are also loads of other treats on the table and don't get me wrong I do also get excited about a good turkey, perfect roast potatoes and the best ever brussles sprouts. 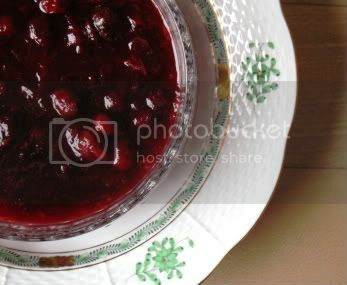 However, not only is the cranberry sauce one of the prettiest dishes on the table it also adds the extra special Christmas factor in my opinion and it just goes so well with everything. 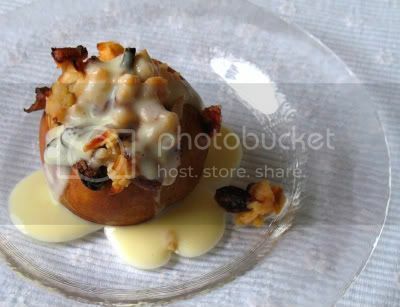 Even once the meal is over I enjoy it for days to come (if there is enough of it) with cheese, pate, pork or game pie. My mouth is watering just thinking about it and even better since I know that there is a bowl of it my fridge right now. Merry Christmas everyone! Frohe Weihnachten, Joyeux Noel, Feliz Navidad and God Jul! 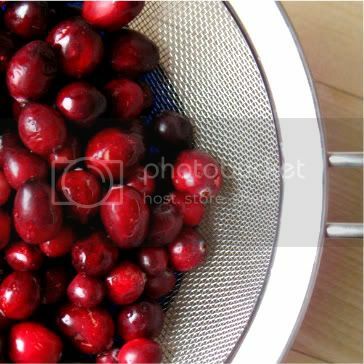 Bring the orange juice, zest and cranberries to a boil in a saucepan. Reduce heat and simmer for about 5 to 10 minutes, until the cranberries become soft. Add the sugar and ruby port and continue to simmer until the sauce thickens a bit and the berries begin to become pulpy. Remove from heat and allow to cool a little before pouring into a bowl. Thanks to the sugar and alcohol it'll keep for weeks in the fridge, if you can make it last that long.